Simply perfect in every single way, it’s in my top 3 wigs that I have bought ever. It’s amazing! 5 out of 5	Pink perfection! The most beautiful pink, it’s definitely my fave new wig. The dark root means I can blend it with my natural hair and it’s such good quality, people think it’s real! I really like the wig! This is my first one but I will definitely buy others. Lush wigs’ quality is very nice. 5 out of 5	Love this wig!!! 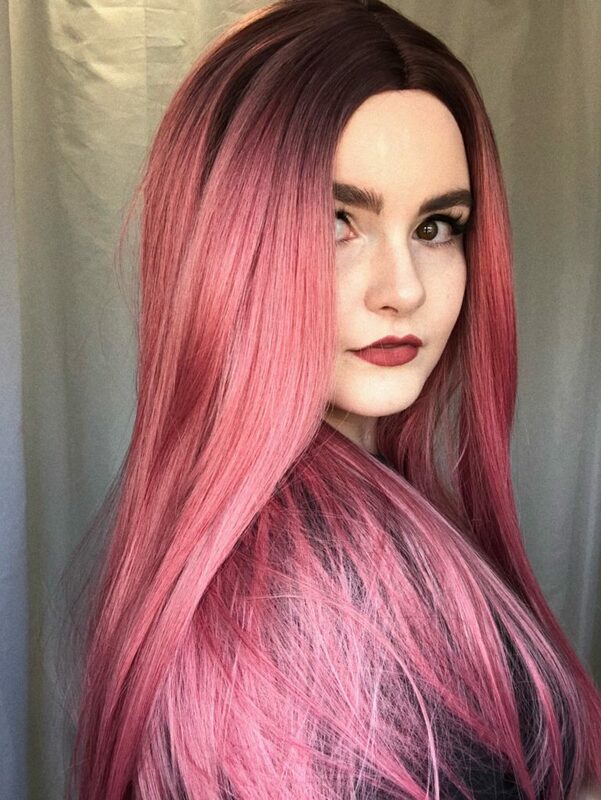 This was my first wig and I’m so happy i chose this one, it looks very real, I think all you need to do put a little bit of concealer on the root to make it look like your natural scalp and blend it in with a little brush like an eyebrow brush and then a bit of dry shampoo to make it look less shiny.